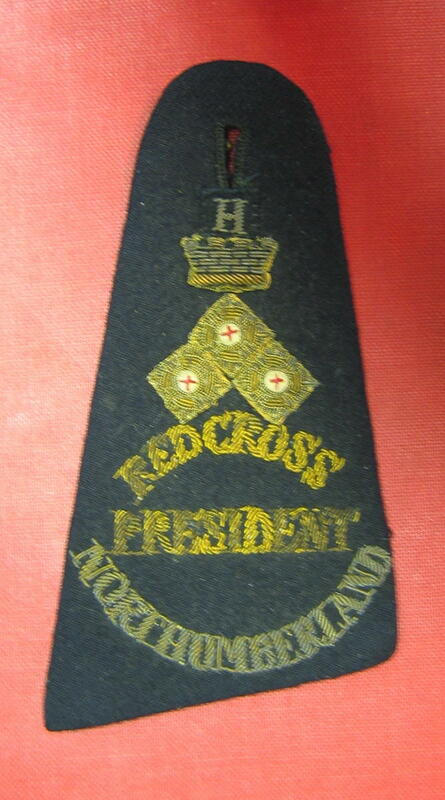 shoulder straps with insignia for County President: Red Cross/President/Northumberland with three embroidered metal pips, embroidered crown and letter H [Honorary?]. Two shoulder straps with insignia for County President: Red Cross/President/Northumberland with three embroidered metal pips, embroidered crown and letter H [Honorary? ].